I have lots of interesting fashion posts coming over the next few weeks (I hope to get caught up as I have so much to share with you all!) but I thought I'd start with a couple from my trip to the South of France. This holiday was my third to the French Riviera; my Mister and I seem to have adopted it as our second home we love it so much! Although we always stay in Cannes, we try to visit different places each holiday and this time we had Grasse on our hit list. For those of you that are unaware, Grasse is the perfume capital of the South of France. 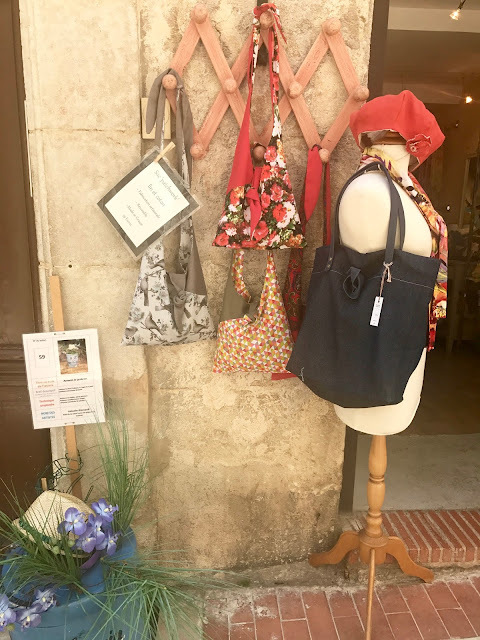 If you think of all the famous French fashion houses, many of them make perfumes or source ingredients from this beautiful little place. Both Chanel and Dior as examples have flower fields in Grasse farmed for ingredients to contribute to No 5 and Miss Dior as well as many of their other signature scents. I won't talk too much about perfume, as I also visited a Dior perfume exhibition and want to share this with you in a separate post (it was a goodie!!). Before I left for my French vacay, my lovely milliner friend Margaret Woodliff-Wright (who you may remember from my Fenwick visit here) suggested that I look up another talented milliner, Lisa, whose shop and workshop, Délisa boutique, is based in Grasse. 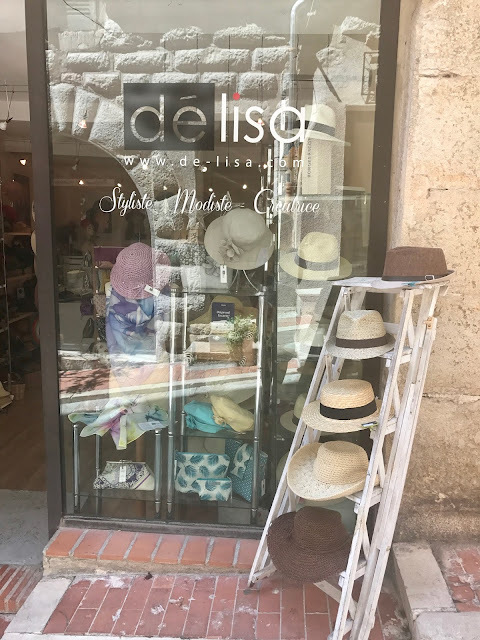 Lisa's space is situated on the Rue de L'Oratoire; the shops in Grasse are pretty much all together in a loop, so if you're wandering around you'll definitely find it. My main concern with meeting her was that I wasn't sure if she was French or English; my French is okay and I try to speak as much as I can, but I am by no means fluent, so I was worried that I might struggle to introduce myself properly (and my link to Margaret!). 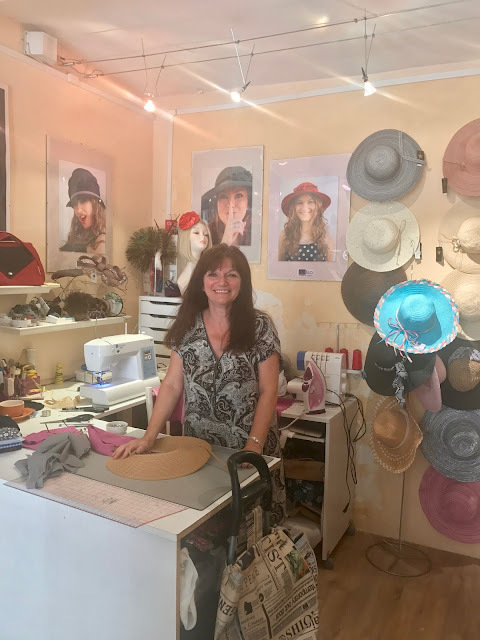 We wandered into Lisa's place and she introduced herself to us in the most beautiful French accent...followed by an English translation when we looked at her bewilderedly! Lisa is English, but fluent in French-but if you're visiting France she'll be really excited to speak to you in her Mother tongue, so be sure to drop in! 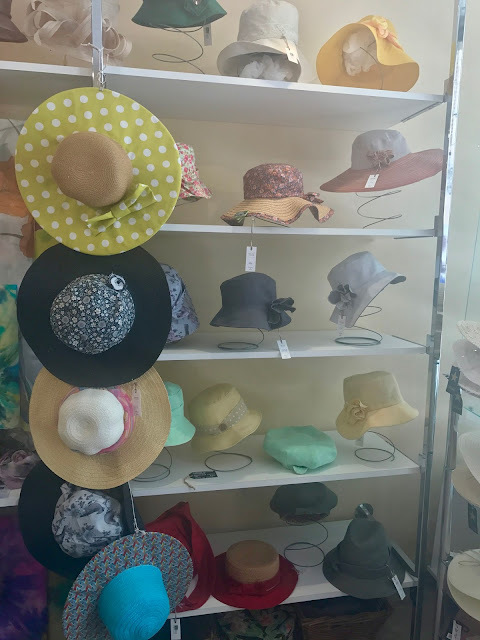 Lisa is warm and welcoming and I was really excited to learn about her hats. Her shop is a cornucopia of all things headwear; she also stocks scarves, purses and other little knick-knacks, all beautiful and reasonably priced. 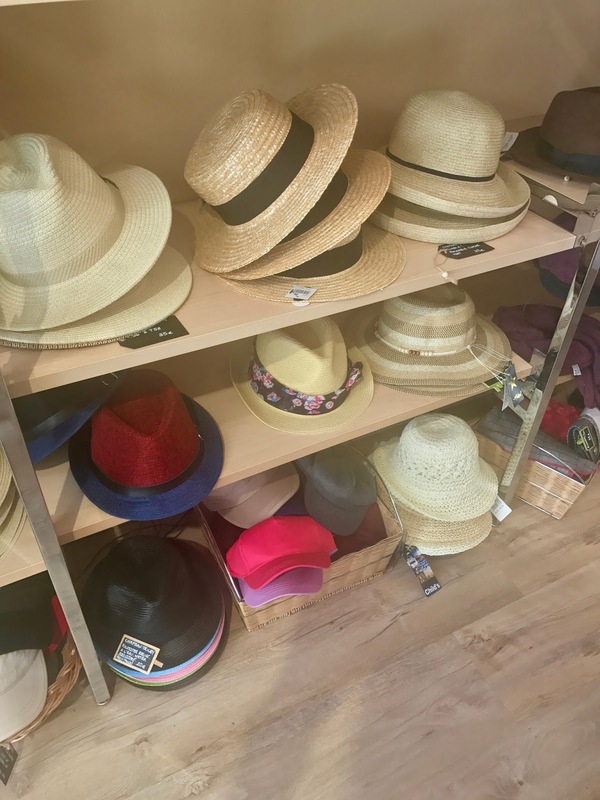 She explained to us that she stocks a lot of straw hats, as in the Riviera summer heat this is usually what the customer wants. 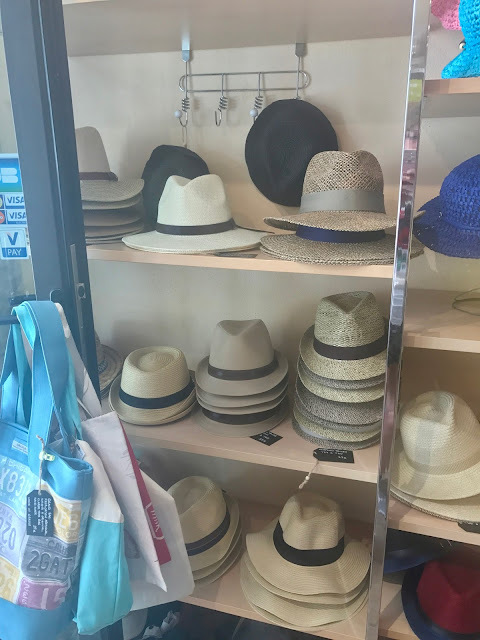 The popular straw hat of the season this year was the boater, a hat shape that I always associate with France because of Coco Chanel. Chanel famously made boaters when she was first starting out as a designer. Although Lisa doesn't make the straw boaters, she had some beautiful ones in stock. 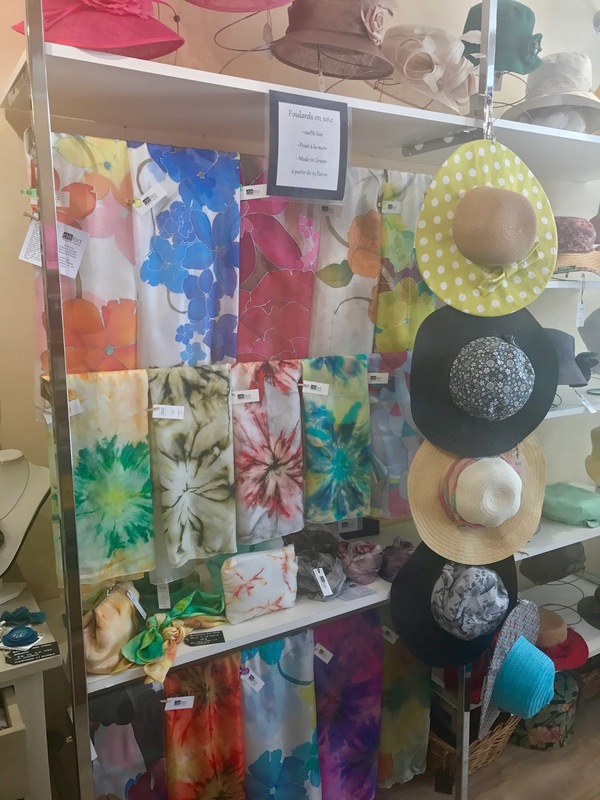 Lisa's speciality is fabric and I fell in love with her reversible combination fabric and straw hat. Such a neat idea and perfect for keeping out of the sun; plus there's always something quite glamorous about an oversized floppy straw-rimmed hat! 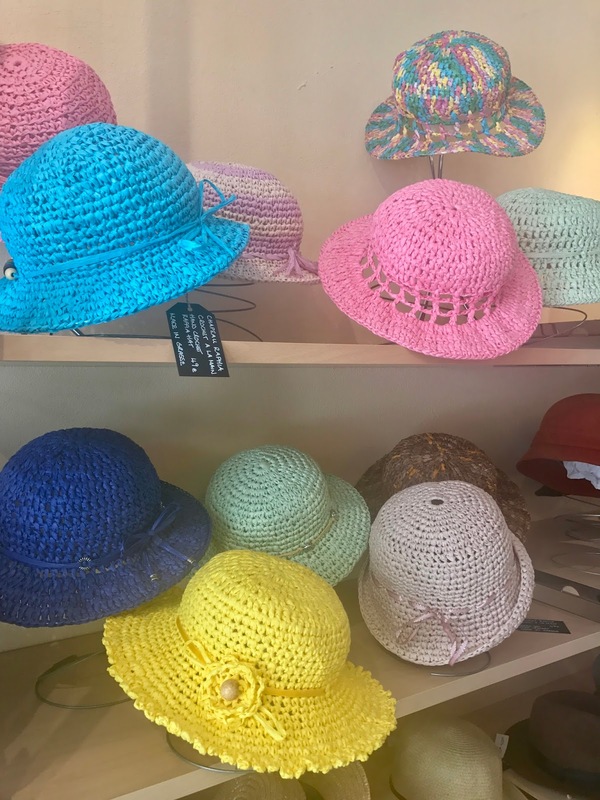 I also loved some of her berets, perfect for winters in the UK; I'm already thinking about purchasing something the next time I get to visit! Lisa kindly let me try on some hats, and I was drawn to this beautiful yellow straw number. 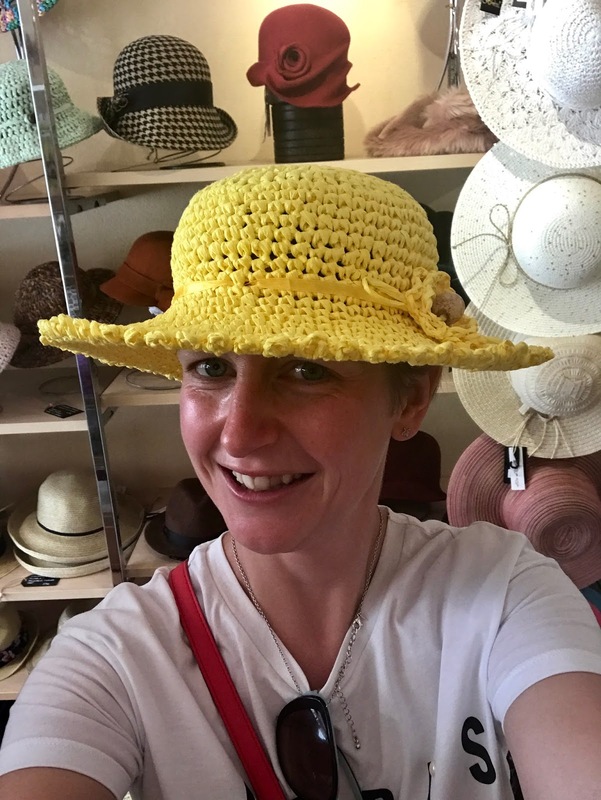 I was so red from the sun that although the hat was beautiful, I'm not sure it was my best look!! It was really interesting to hear about how Lisa fell in love with France at an early age when she visited as part of a school exchange programme years ago. She also told us that when she first moved there, she spoke French to anyone and everyone so she could master the language fully (which she certainly has!). 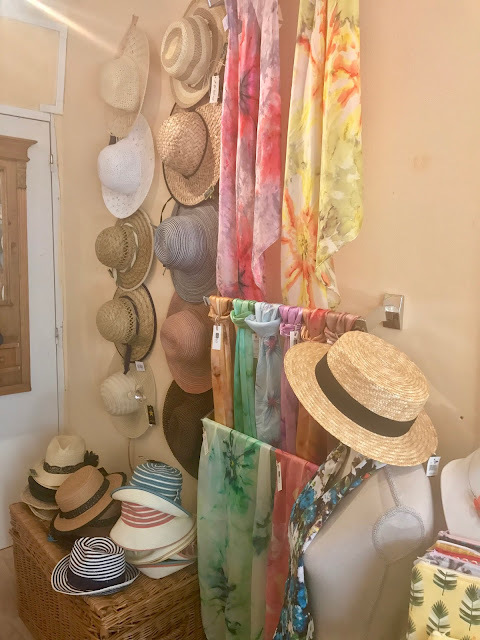 As for her business, it's going amazingly and she's just in the process of expanding-there's even talk of her offering some craft-based holidays too! I'm really glad I got to meet Lisa-I plan to collaborate with her on more blog posts in the future to keep you updated on her latest and to show you more of her millinery skills-she's a super talented lady and quite possibly one of the warmest and friendliest people I have ever met; thanks so much Lisa for welcoming us into your world with open arms (and for helping us choose where to visit in Grasse!). You can find Lisa on instagram or check out her website here.